Many of you know, but I am one half of the podcast Research Computing and Engineering. I am sorry we are not getting shows out as often as we would like, both Jeff and I have been very busy as the HPC and Research Computing community is quickly growing! The fun thing about this is the web stats, we move about 100GB worth of HPC education a month. 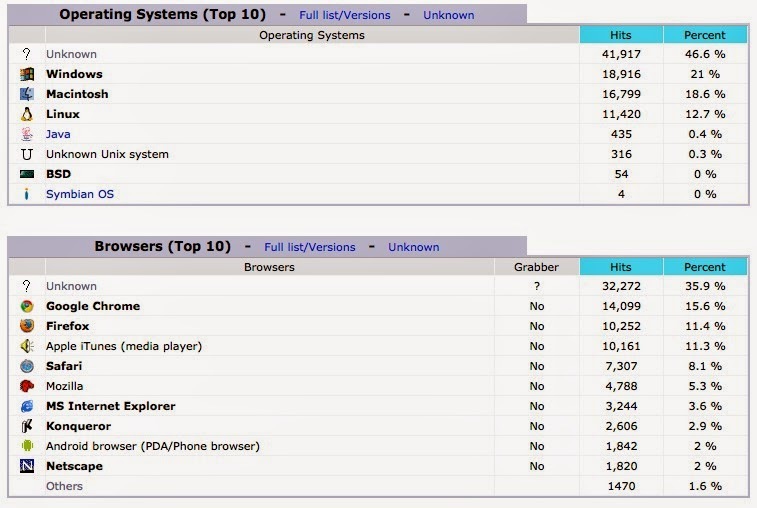 Call it the geeks in me, but I love the diversity of our listeners choices in browser and OS. Here are the most popular downloaded episodes for 2015. Lustre remains the strongest even though it was episode 14 recorded in 2009! Lol, I assume that it is spiders, or someone changing their user agent.